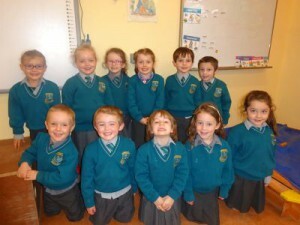 Firoda School extends a warm welcome to our new Junior Infants. Pictured here are Rachel, Blaithín, Ailbhe, Eimear, Edward, Shane, Bobby, Sam, Jenna, Nora and Rhona. We hope you will all have a happy, enjoyable and educational stay in our school.